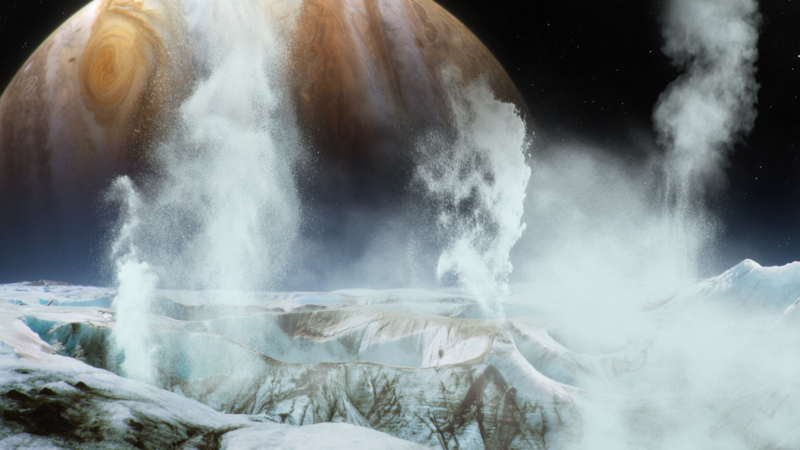 NASA’s Galileo spacecraft flew through a giant plume of water that erupted from the icy surface of Europa, new analysis shows. A NASA probe that explored Jupiter’s moon Europa flew through a giant plume of water vapor that erupted from the icy surface and reached a hundred miles high, according to a fresh analysis of the spacecraft’s data. The discovery has cemented the view among some scientists that the Jovian moon, one of four first spotted by the Italian astronomer Galileo Galilei in 1610, is the most promising place in the solar system to hunt for alien life. If such geysers are common on Europa, NASA and European Space Agency (ESA) missions that are already in the pipeline could fly through and look for signs of life in the brine, which comes from a vast subsurface ocean containing twice as much water as all the oceans on Earth. NASA’s Galileo spacecraft spent eight years in orbit around Jupiter and made its closest pass over Europa, a moon about the size of our own, on 16 December 1997. As the probe dropped beneath an altitude of 250 miles, its sensors twitched with unexpected signals that scientists were unable to explain at the time. Now, in a new study, the researchers describe how they went back to the Galileo data after grainy images beamed home from the Hubble space telescope in 2016 showed what appeared to be plumes of water blasting from Europa’s surface. They found that a sudden blast of water from the Jovian moon explained the Galileo probe’s strange measurements. On its closest flyby, Galileo swept over Europa at more than 2,230 mph. As it hurtled past, instruments onboard the probe detected a brief but dramatic twist in the magnetic field and a sudden, rapid increase in the density of plasma, or ionized gas, the spacecraft was flying through. Computer simulations created by Xianzhe Jia, a space scientist at the University of Michigan, showed that a 120-mile-high geyser erupting from a relatively warm patch on Europa would create precisely the same readings. Details of the work appear in the journal Nature Astronomy. When plumes of water spray out of Europa, the molecules are immediately battered by highly energetic particles, a process that smashes them into charged ions. It is these ions that produce rapid swings in the magnetic field direction and ramp up the density of plasma above the geyser. “Our detection of a plume based on the Galileo data certainly strengthens the case for future exploration of Europa,” Jia said. One NASA mission, Europa Clipper, is scheduled to launch in the 2020s with the express aim of finding out whether the Jovian moon could harbor life. Another mission, ESA’s Jupiter Icy Moons Explorer, or Juice, is expected to launch around the same time and perform flybys of Europa and two other Jovian moons, Ganymede and Callisto. As much as scientists may wish it to be otherwise, the Jovian moon is hardly a balmy haven. The surface temperature never rises above -160C (-256F). 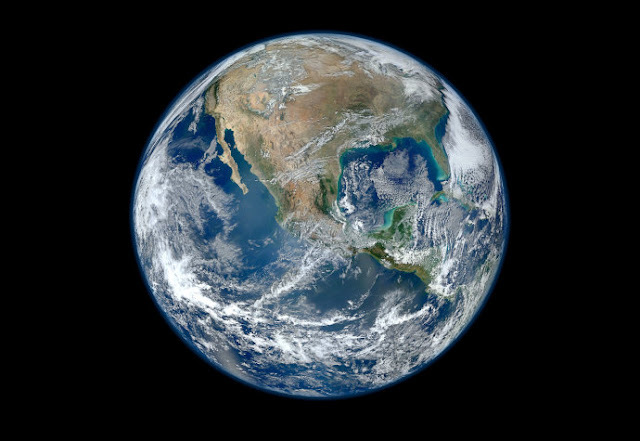 What warmth there is comes largely from tidal kneading driven by the massive gravitational forces that come with an orbit around Jupiter, the largest planet in the solar system. 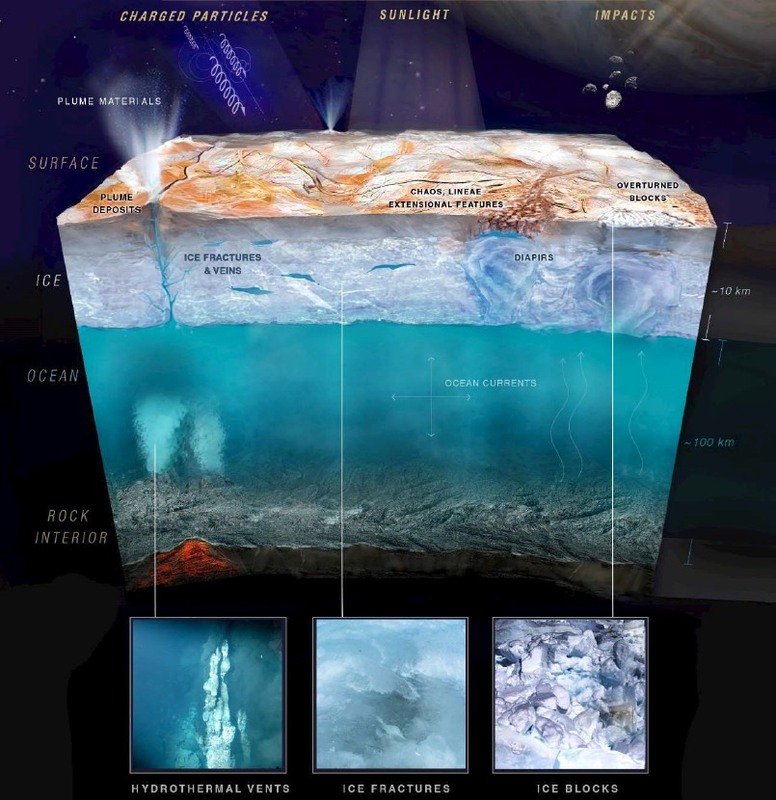 If life has gained what passes for a foothold on Europa, it may be huddled around hydrothermal vents at the bottom of the ocean in a world of frigid, perpetual night. William Sparks, an astronomer at the Space Telescope Science Institute in Baltimore and leader of the team that found evidence for water plumes on Europa with Hubble, said it was good to have independent confirmation of the watery blasts.